Paraphyseal cysts, more commonly called colloid cysts and ependymal cysts, are benign developmental lesions of presumed neuroepithelial origin. The colloid cyst is a well-defined pathological entity but considered by some to be part of the spectrum of ependymal cysts. 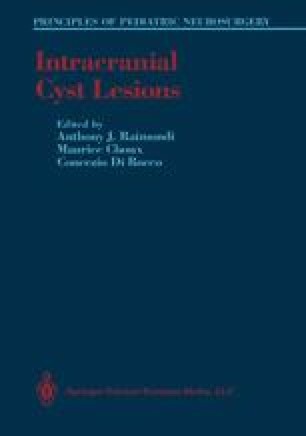 Ependymal cysts are poorly defined in the literature and thus will be considered separately.